Jun 23 More Than Decent - Won't You Be My Neighbor? Imagine believing something so deeply that you not only make it the core of who you are, but you also aim to alter the behavior of others with it. To say Fred Rogers believed in the power of love is an understatement; he was obsessive about it. And Won't You Be My Neighbor, titled after one of his sing-songy catchphrases, attempts to distill the essence of a man who by all accounts was basically composed of nothing but love. The picture it ultimately paints is one of hope, charm and dedication that might truly impact those who take it in. The film opens with an exploration of the origins of Mr. Rogers' Neighborhood, the show Fred Rogers created and starred in. He was on his way to seminary when television was invented and changed the national landscape. From there, what began as a Pittsburgh product became a national treasure. And as his influence grew, so too did his desire to use his platform to make children into better people. He did episodes on assassination, divorce, racial tolerance and anything else he thought he was uniquely positioned to explain to children. Fred Rogers hated television. He thought that it was incredible medium that was being used to corrupt people, so he set out to change that. He wanted it to be more than a vehicle for selling toys and candy. He used his program to reach children and to try to imbue them with a sense of self-worth and decency to their fellow human beings. There was nothing on television quite like it and there hasn't been since, but his impact on the culture is undeniable. Multiple generations of kids remember the feelings even if they were too young to recall the specifics. The film interviews several people from the show and his personal life who offer perspective on how uniquely kind he was. They talk about the difficulty the world had in accepting a man who was this decent. He dealt with issues of funding, parody, and even mockery. 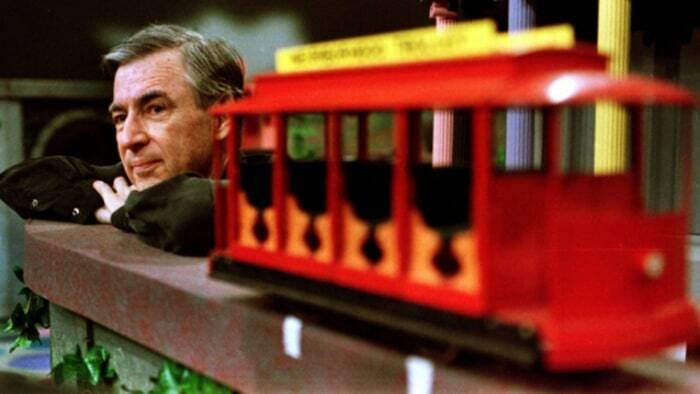 One of the subtle tricks the film pulls off is to use this as the central tension--Fred Rogers vs. The World. Telling a story about a man who seemingly had no inner demons or notable conflicts leaves you with very little tension, unless you manage to introduce an outside element he fought against. In this case, it was us. The film manages to be about this very moment in history without ever naming names. An all out assault on the indecency of the Trump Administration would have been over the top and on the nose. Instead, there are allusions to the injustices of his own time that he would not abide. The emotional beats offer a clear enough picture that the viewer is constantly left thinking that he would not approve of where our discourse has gone. By the end, the film pulls off a subtle trick. It asks you to think about yourself, even after it has spent an hour and a half talking about someone else. I don't think it's a coincidence that that is exactly what Mr. Rogers was doing all those years.